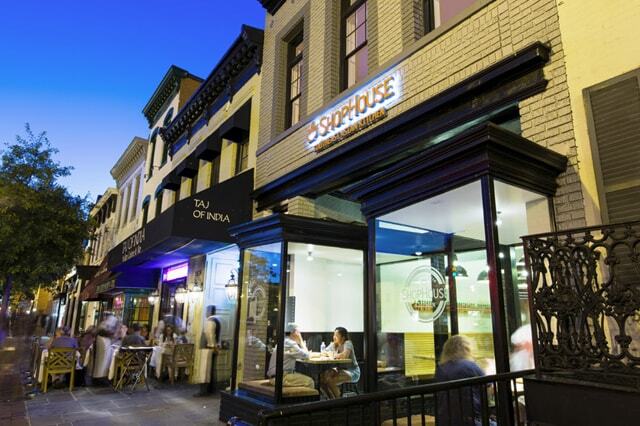 Top-down gut renovation of a historic Georgetown townhouse, leased to ShopHouse and Georgetown Yoga. 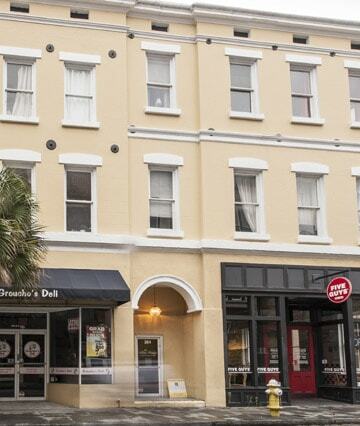 Charleston’s only “Middle King” mixed-use property featuring four sides of light and air, 364 King has two prominent retail bays and ten rental apartments on the second through fourth floors. 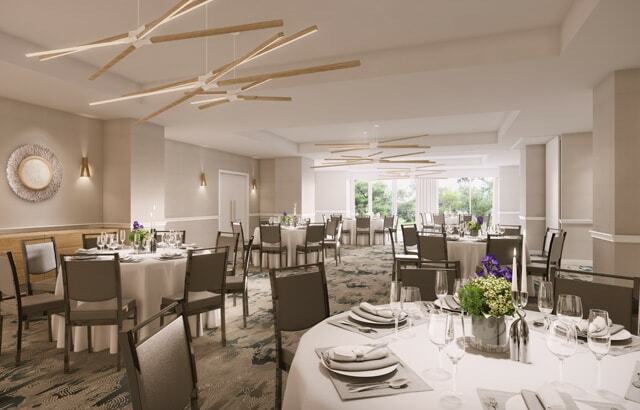 Perched high above the Rock Creek Park treeline, the re-imagined Glover Park Hotel brings the Washington outdoors inside with Michele Oka Doner’s flair, artistry and sophistication. The hotel’s newly reappointed 154 rooms celebrate the city’s greenery and elegance while Graham King’s Urban Athletic Club brings the best of the Washington fitness. 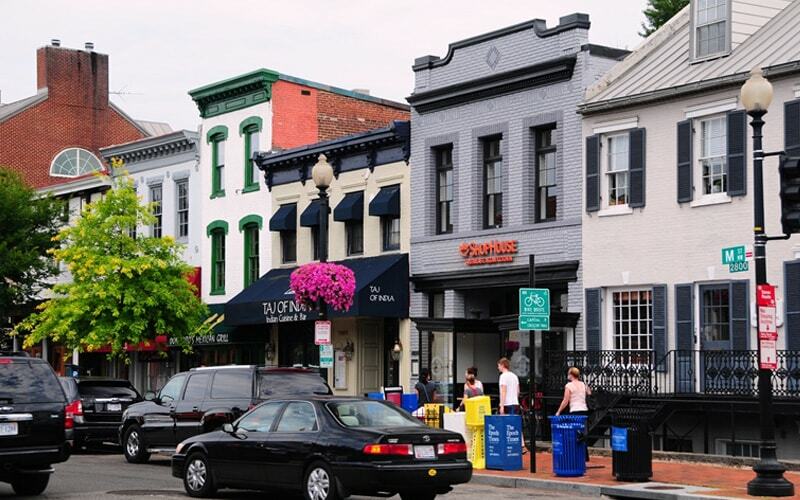 Acquired in September 2010, 3241 & 3245 M Street, NW, feature 46 feet of prominent Georgetown frontage between Wisconsin Avenue and Potomac Street. Following a complete renovation of the buildings’ structure, H&M’s chic & Other Stories opened in 2017. One of Dupont Circle’s first boutique hotels, Michele Oka Doner has restored the full beauty of this New Hampshire Avenue gem. Nestled in Washington’s historic Dupont Circle neighborhood, Kimpton Carlyle Hotel Dupont Circle features art deco-inspired high style in its 198 distinctive rooms and the fine food and drink of The Riggsby, Michael Schlow’s supper club-fashioned restaurant, whose kitchen powers all of the hotel’s catering, meetings, events and room service. Six contiguous parcels, assembled throughout 2014, along Columbia Road directly across the street from the future Line DC hotel. Phase one of redevelopment commenced in 2016 with the first new luxury rental apartment units built in the heart of the thriving, re-energized Adams Morgan neighborhood in decades. 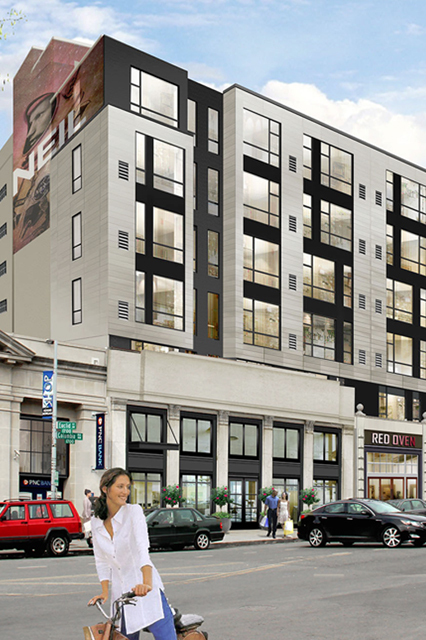 The hotel will draw inspiration from the surrounding Adams Morgan neighborhood -- an area long respected for its diversity, rich culture and personality. 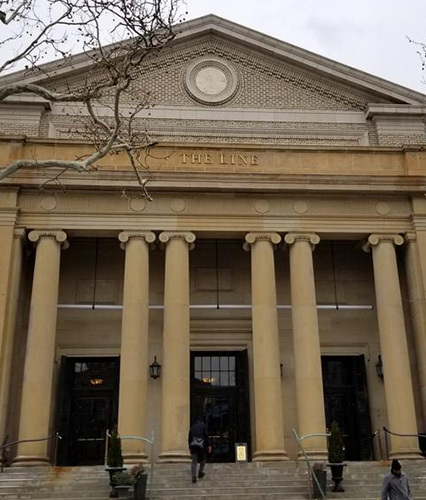 In addition to a newly constructed building, the 110 year-old neo classical church has been restored with the creation of dynamic public spaces serving both neighborhood residents and hotel guests alike. Organized in 2010, Foxhall Partners is a design-driven and community-oriented commercial real estate firm specializing in hospitality, retail, lifestyle rental apartments and mixed-use developments in select United States metropolitan markets. Foxhall collaborates with industry-leading partners, such as Beztak Properties and the Sydell Group, award-winning designers, including Michele Oka Doner and Brian Miller/Edit Lab/Streetsense, best-in-class chef Michael Schlow and hoteliers like Kimpton. Foxhall celebrates its partnerships, creating forward-looking, inspired, differentiated projects. Foxhall is dedicated to the primary facets of real estate value creation, including leasing, entitlements and zoning, repositioning and development and active property management. Foxhall’s principals have decades of combined experience in all real estate investment positions, including acquisitions, joint ventures, debt financings and recapitalizations. Foxhall celebrates its partnerships, creating forward-looking, inspired, differentiated projects. "Brian Friedman oversees Foxhall’s development activities and capital raising. Mr. Friedman has been a real estate developer based in Washington...."
"Michael Miller is the chair of Foxhall’s investment committee and is a principal of The Gelman Management Company where he is directly responsible...."
"Matt Wexler oversees Foxhall’s acquisition activities and asset management. Prior to forming Foxhall, Mr. Wexler was Vice President..."